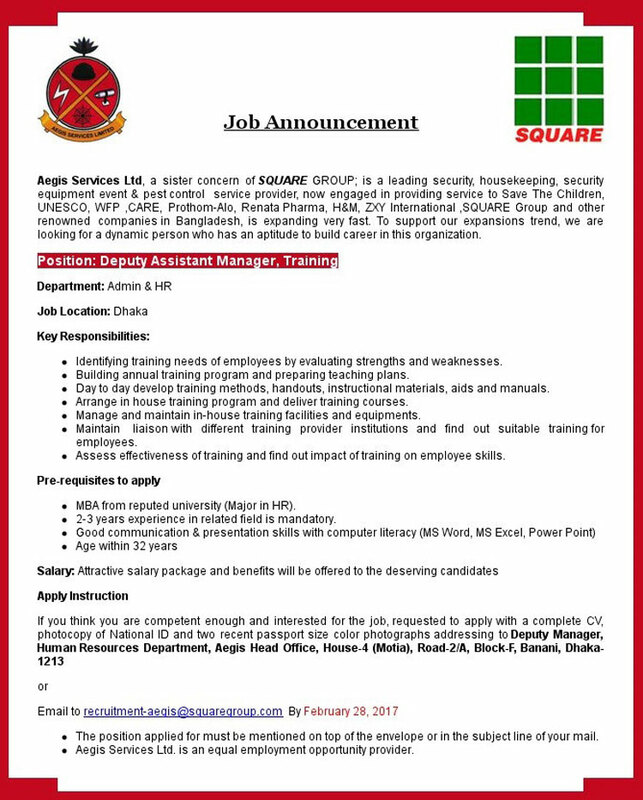 Square Group Job Circular 2017. 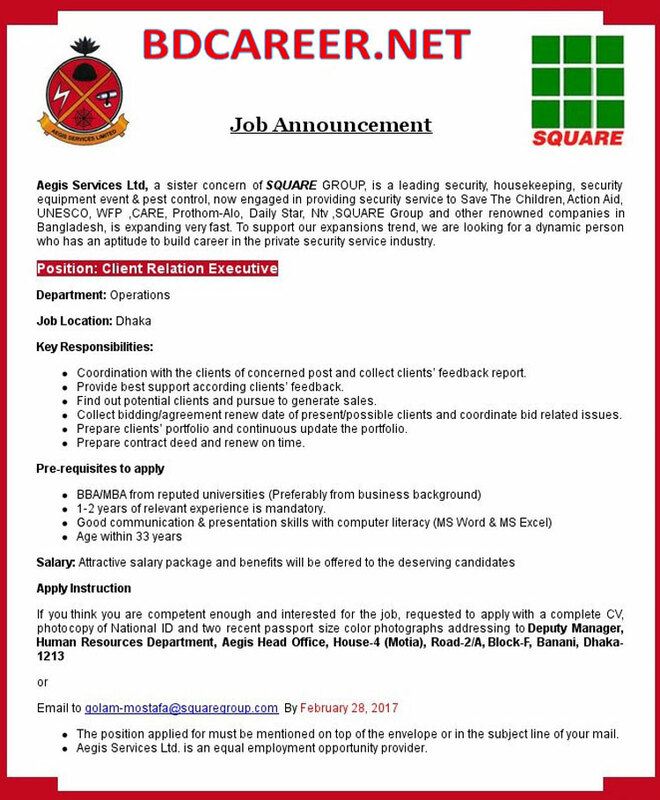 Squire Group is one of the popular, best and vast Group and also the most familiar Group in the business World. 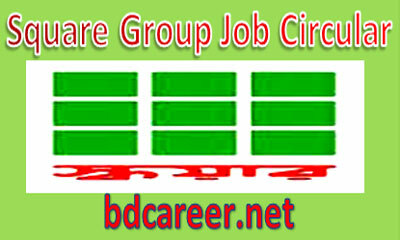 Square Group recently published various types of job circular. 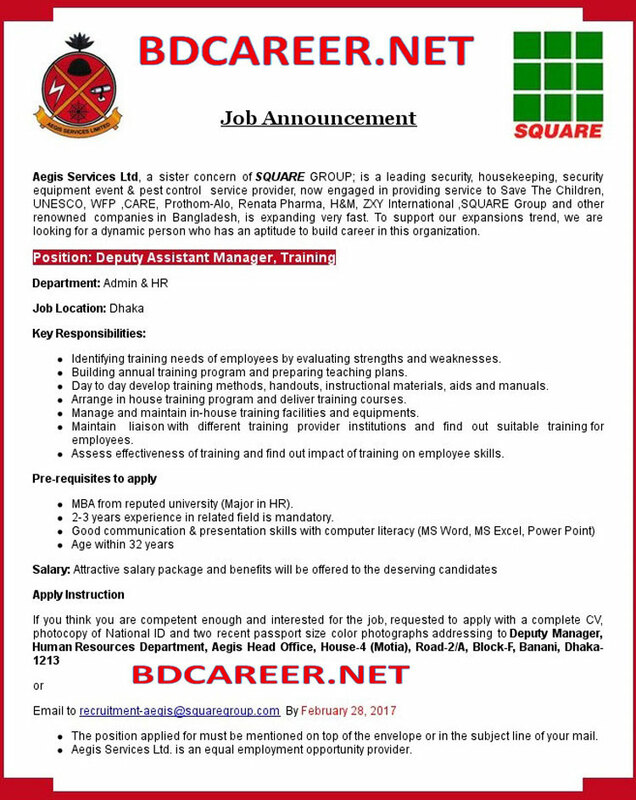 Eligible and Interested Bangladeshi Citizenship candidates are requested to Apply after fulfilling the rules and the circularized conditions and instructions. 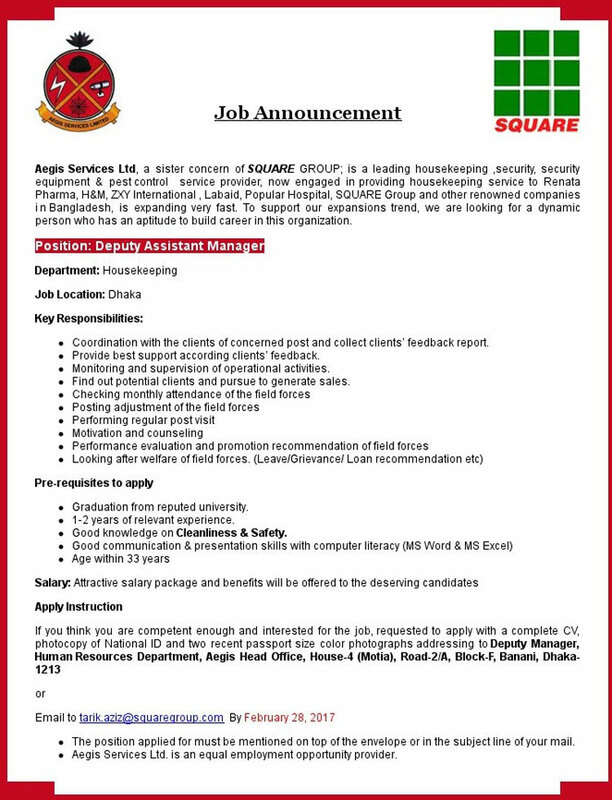 Deadline for Submitting Application is (see the attached image job circular for details). 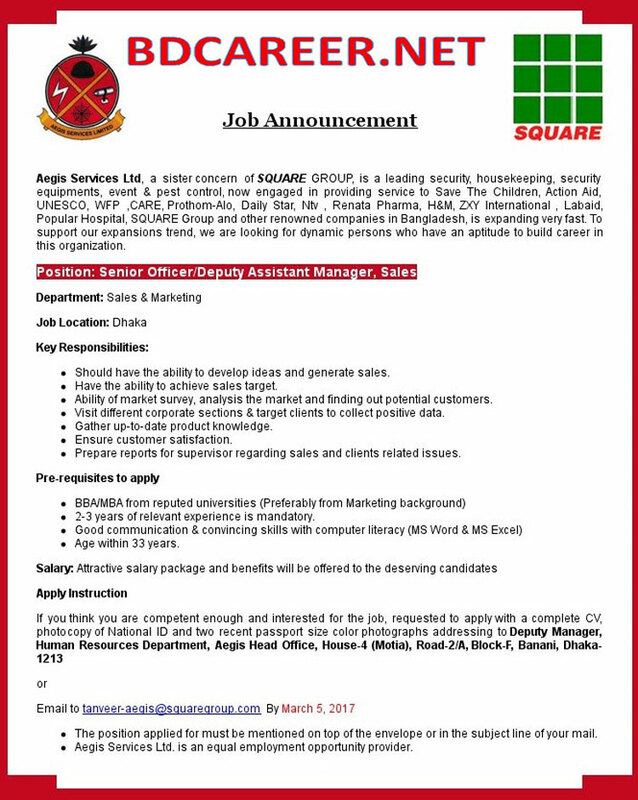 To know more details please see the attached image Job Circular below. 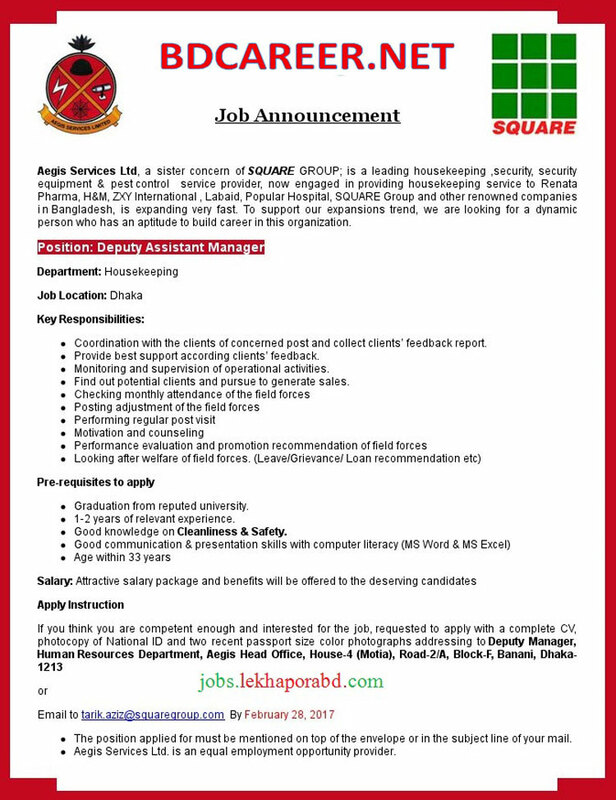 Eligible & Interested candidates are requested to Apply for the vacant positions after fulfilling the circularized conditions and instructions above. 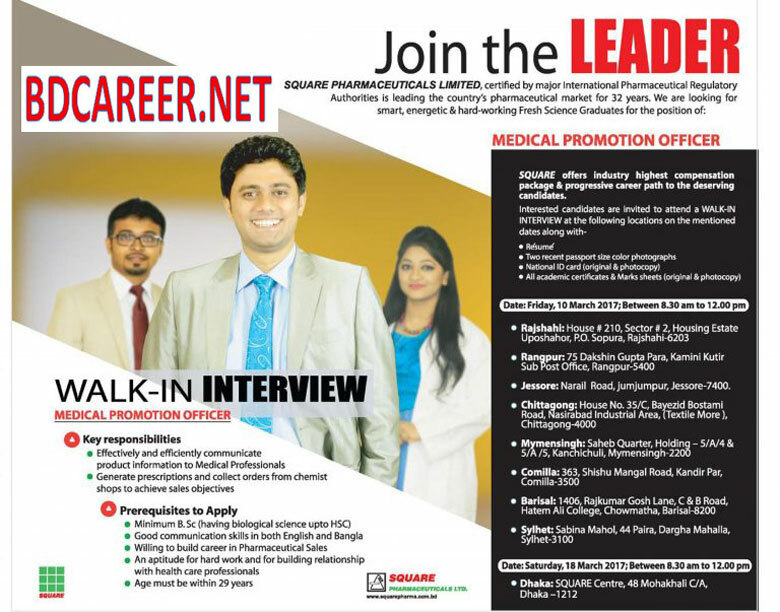 The deadline for submission Application is (see the attached image job circular for details).